The Partition Museum is organising an evening to pay tribute to the spirit of Partition Survivors at the Multipurpose Hall, India International Centre, New Delhi on 12 November 2018 at 6 p.m. The evening will include a discussion with artists Anjolie Ela Menon, Krishen Khanna and Satish Gujral and noted Punjabi author Ajeet Caur, on reconciliation in the aftermath of the Partition through their art and literature. 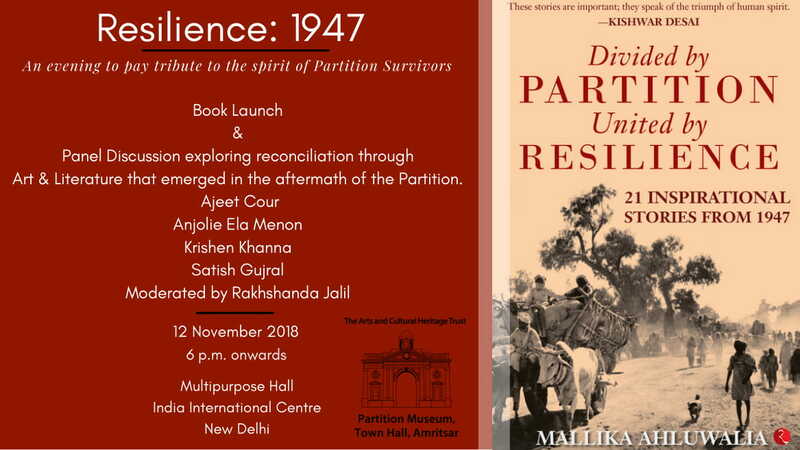 The evening will also see the book launch of “Divided by Partition, United by Resilience: 21 Inspirational Stories from 1947“, by Mallika Ahluwalia, CEO, curator and co-founder of the world’s first Partition Museum. 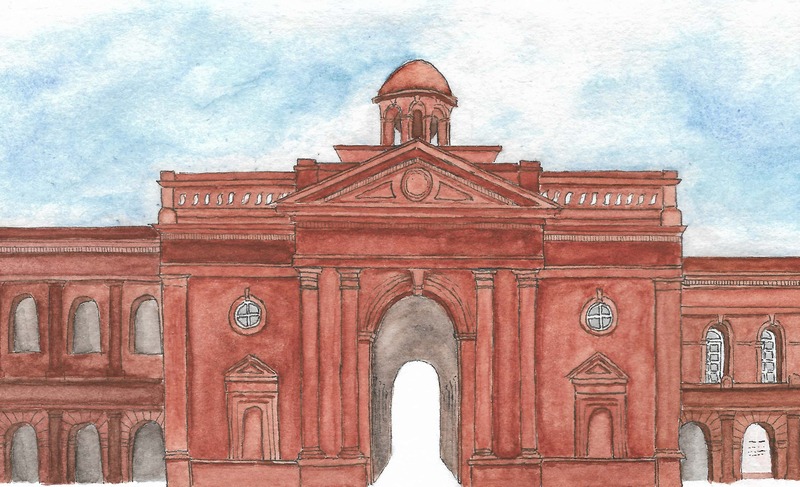 The book captures stories of resilience and sheer grit of people caught in the vortex of Partition violence. It comprises life stories of 21 extraordinary individuals who were deeply affected by the Partition, yet went on to achieve greatness in independent India. Join us for Tea at 6:00 pm. *The venue is wheelchair friendly!